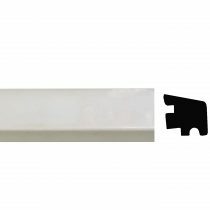 This moulding is available in: Primed Finger-jointed Pine It is sold by the linear foot up to 12′ lengths. Tier quantity discounts available on all mouldings, any combination or style. This item goes with our Primed Window Sill. 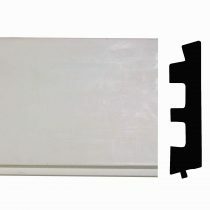 PVC Window nosing measures 1-3/8″ x 1-5/16″. Sold by the linear foot up to 17′ pieces. This item goes with the PVC Window Sill. 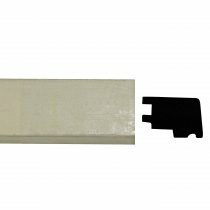 PVC Window sill measures 1-1/4″ x 5-1/16″. Sold by the linear foot up to 17′ pieces. This item goes with the PVC Window Nosing. 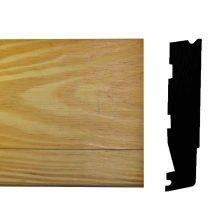 This moulding is available in: Clear Treated Yellow Pine It is sold by the linear foot in random lengths up to 12′ long. Tier quantity discounts available on all mouldings, any combination or style.